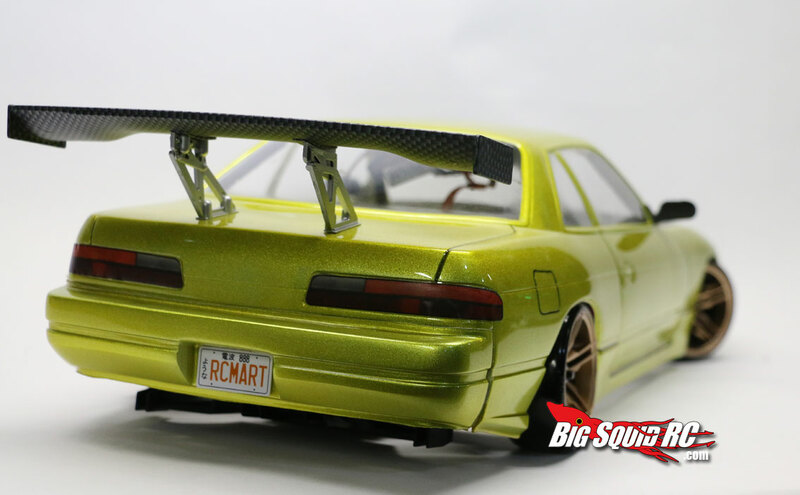 Drift Itch – Sakura D4 product spotlight « Big Squid RC – RC Car and Truck News, Reviews, Videos, and More! Whats up drifters! Evol here again with another edition of Drift Itch and I’m pretty stoked to finally be writing about this car i’ve been obsessing over for the last few months. The Sakura D4 is finally in hand and it’s one of the most exciting platforms to come along in a while. 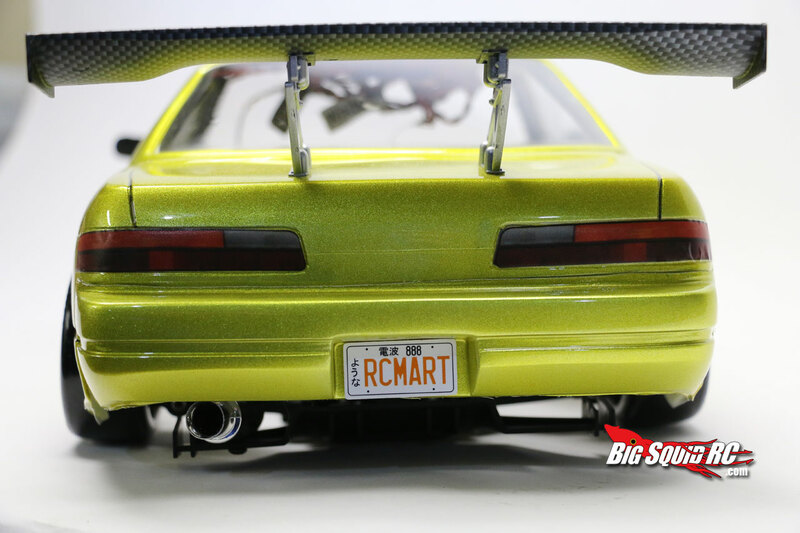 While it borrows some key design elements from some more high end platforms the sheer amount of options that this thing can accommodate is what makes it so attractive to the drift crowd…. Well its bargain basement price probably has a lot to do with that as well. It’s well documented now that the D4 can support RWD as well as AWD. For this build up we are going to focus on the RWD version of this car. The moment I greedily snatched it from my mail carriers hands I had it on the bench turning screws every free moment I could. The build went smooth enough, the instructions are easy to read and I had no issues with assembly other than one tiny thing. They had included several screws that were the wrong type. Not a show stopper for me because I have plenty of spares on hand but for a newcomer to the hobby this could be very frustrating. 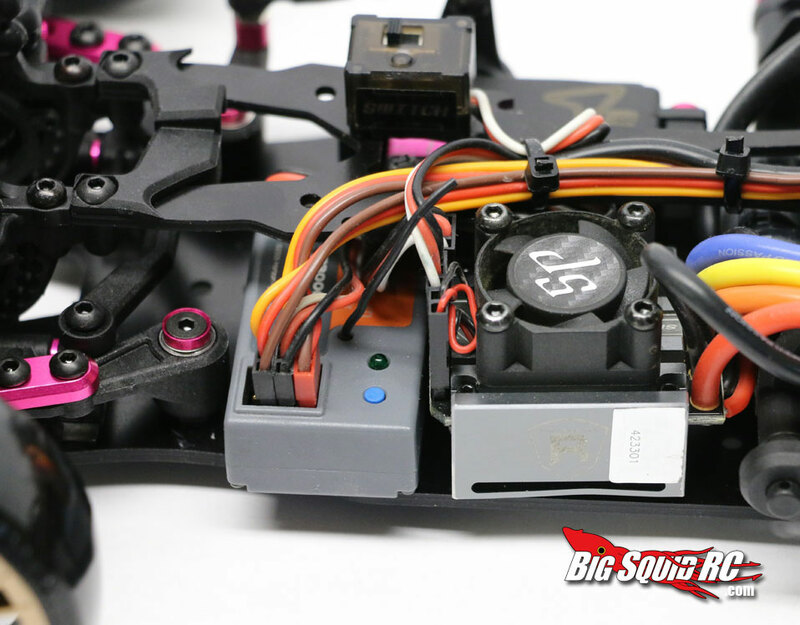 Oddly enough a couple of years ago when I built my Sakura D3 they had done the exact same thing. Someone in packaging needs to learn the difference between buttonhead and countersunk screws. 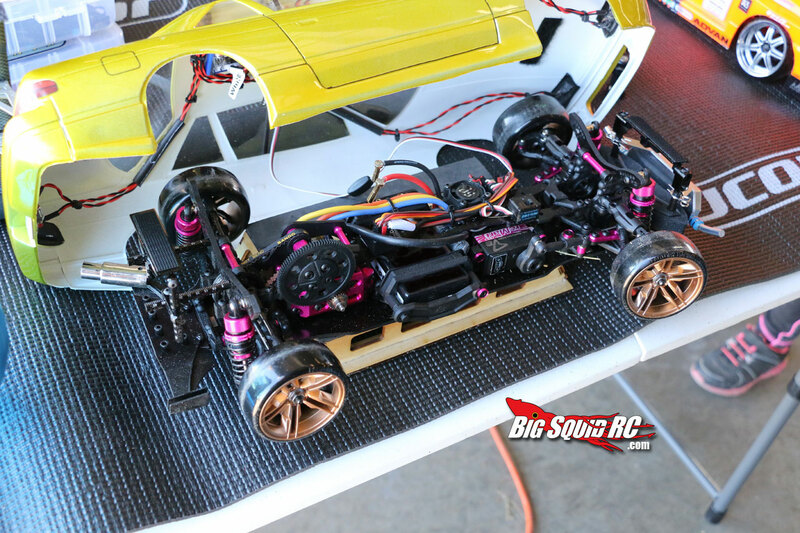 That small complaint aside I had the car built and outfitted with electronics quickly. For power I installed a Speed Passion Reventon R 13.5 sensored setup for maximum throttle control. 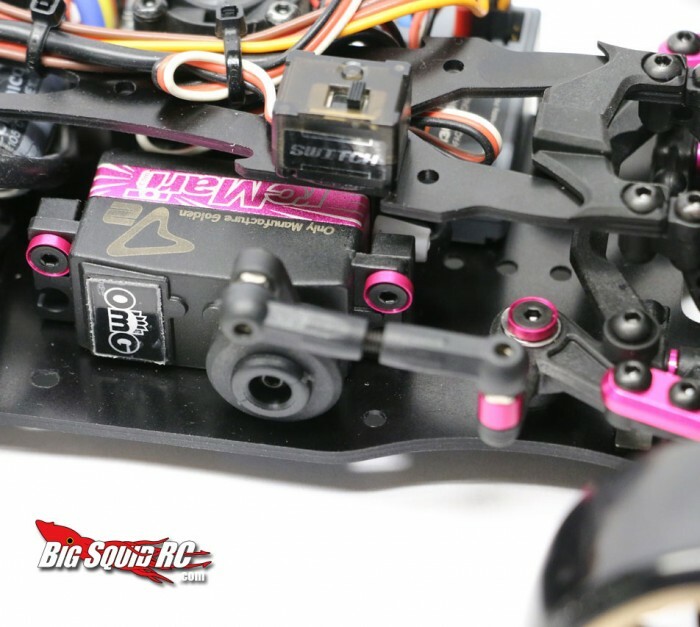 Servo and Gyro choices were compliments of the rcMart package deal consisting of a 3racing pink OMG servo and a Yeah Racing GC301 drift gyro that we featured a while back. If you would like to take a look you can read all about it here. I opted for the mid-ship battery location because it seemed to be the sensible approach. In my opinion this car is going to be rear weight biased enough, but if one were inclined you could run the battery behind the rear shock towers to get the most weight over the rear wheels. You gotta love that kind of flexibility. I think the D4 is a step forward for 3Racing compared to their last kit I built which was the D3. The plastics are all very nice and everything fits together nicely. The suspension arms all move freely with no need to ream or hand fit parts. The annoying spring pins on the drive pulleys of the D3 are gone replaced by set screws on a steel shaft. HUGE relief there. The shocks are ultra smooth with threaded bodies and aluminum o-ring collars. 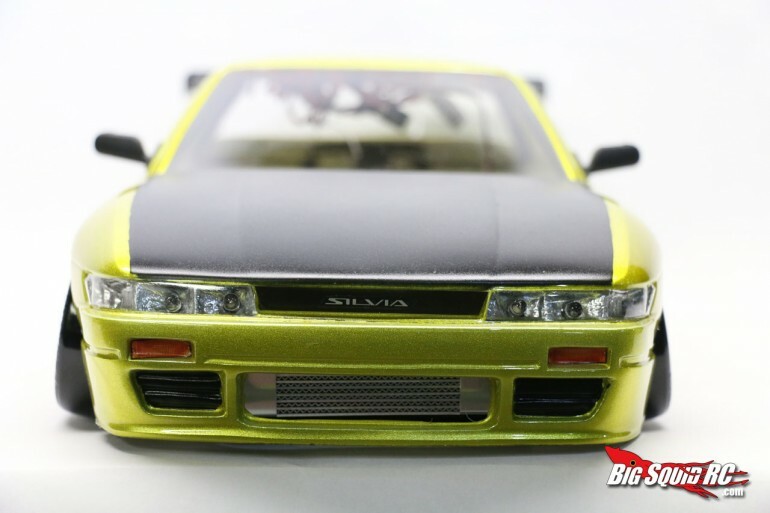 The old molded plastic chassis plate design has gone and now the car sits on fiberglass plates. The shock towers are fiberglass plates now as well. A much nicer look overall. Even though this is a mostly plastic car these changes give it a more premium feel. The D4 only has one belt in the rear but the tensioner design is still superior to a lot of other cars on the market. With its cam and set screw design you can make no mistake about the position of the tensioner and its easy to make adjustments if you need to. This design was carried forward from the D3, but I think they got this right the first time. 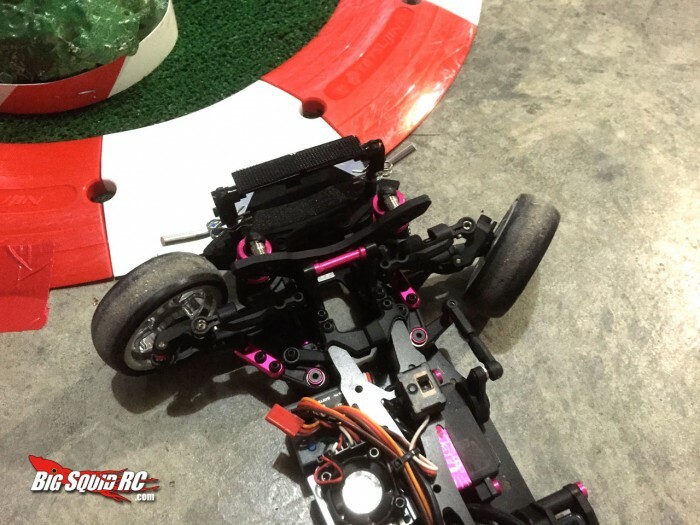 Aside from the packing QC problems I talked about before I think 3Racing has definitely upped their game. As “flexible” as this platform is as the build progressed I started to see some areas where the D4 falls short, particularly in the steering department. While the steering wipers are 2 piece they only have 2 mounting locations for the steering links. There is a ton of steering interaction between the steering links and knuckles even though the links are molded to allow extra angle. Also the steering knuckles and upper and lower control arms make for very extreme kingpin angle (often referred to as KPA or KPI). Without getting too into the weeds on this stuff (because I certainly don’t understand all of it) this makes for some pretty wonky steering geometry at the extremes of the steering travel. At full lock one of the wheels actually leans forward and there is no way to tune it out because caster isn’t adjustable! I was pretty bummed to find so many problems with the car already but as I began to grasp for answers it hit me. This steering setup was designed with the AWD in mind. With the reduced throw that an AWD has the steering setup remains much more functional because it cannot travel as far. Unfortunately with RWD you need much more steering angle and the D4s steering geometry just isn’t designed to turn that sharp. I think this is correctable but it’s going to take some serious tinkering. First things first though, lets drive it in stock form. I threw the D4 down on my test track and took it for a spin. I spent a few minutes dialing in the gyro and then I began to throw it into corners in earnest. The Sakura was extremely prone to snap oversteer. I wrote it off at first as getting the new tires worn in a bit, but even after a few passes it never improved. It was as if when I put it into a drift that someone was putting the front brakes on. If you look at the picture below you can see some of the geometry issues I described above; notice the front wheels do not point in the same direction. This steering Ackermann causes the front tires to scrub which is not something you want in a RWD drift car. This is compounded by the fact that the stock wheels can touch the shock or lower control arm really causing the wheel to bind and stop. Very frustrating. I got around that problem by throwing on some narrow front tires but there is some serious work to be done to improve the KPI situation. I hit the internets to research and this issue is well documented among early owners. 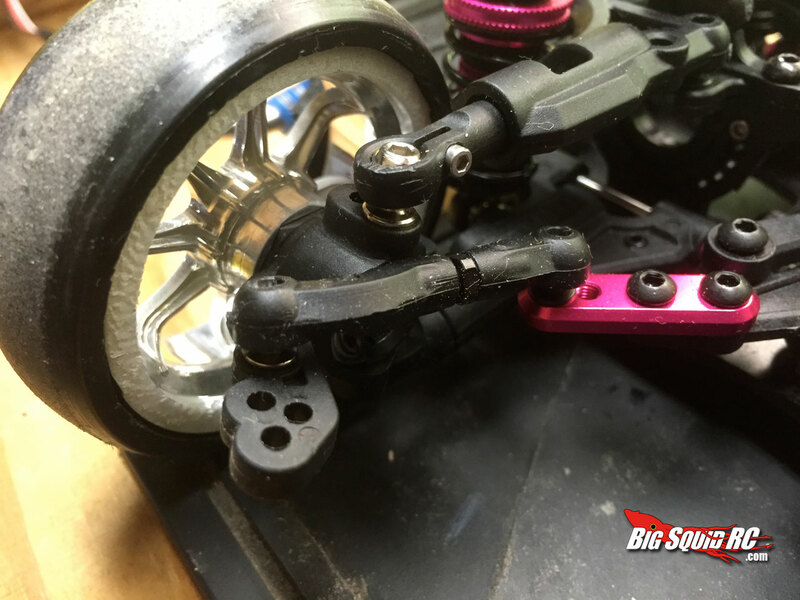 The most common fix is to install some new knuckles that decrease the kingpin angle. I had some MST knuckles that I had pulled from one of my other cars so I decided to try them out. They helped but have not been the entire solution. It’s going to take replacing the upper turnbuckles with some longer units and replacing the center link with an adjustable unit to get this car handling the way I want. Parts on are order to make all of that happen but just replacing the knuckles made a huge improvement. I was actually able to turn some laps and have some fun with the car. Finally! While i’m disappointed that the car didn’t live up to all of my inflated expectations I still have high hopes for this kit. My D3 took a lot of tuning before it was dynamite but it was worth all the work. I think the D4 will get there in the end as well, but newbies be warned, this is going to be a project to get this car where you want it. That being said all of my problems revolve around the RWD version of this car. As I feel the front end of the car was designed with AWD in mind you AWD owners may have an entirely different experience. I don’t own that version so I can’t really comment on how it is, but based on some of the chatter i’m reading is that it has its teething problems as well. 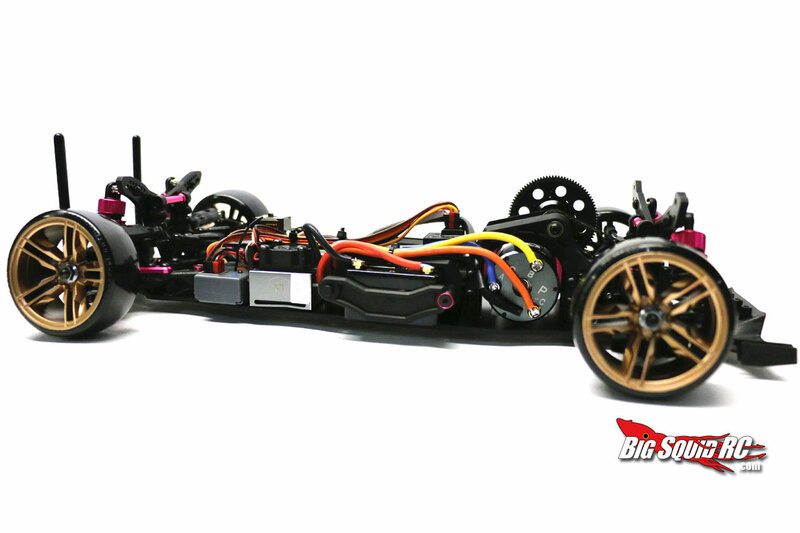 I love the looks of this chassis. The layout is clean and it really is just a great looking car. I’m in “wait and see” mode with a lot of it as there is so many options in the pipeline but I like the look of the Oxygen Mark 1 conversion for it as it addresses all of the issues i’m having with the steering. Overall I can say that I’m still excited about this car. The D4 is a tinkerers dream, complete with flaws to get the ball rolling. Don’t let my complaints detour you from this car if you feel like you’re up for the challenge because I think it’s a blank canvas just waiting for you to put your mark on it. The low ~120 dollar price tag really makes it attractive as a project car too. 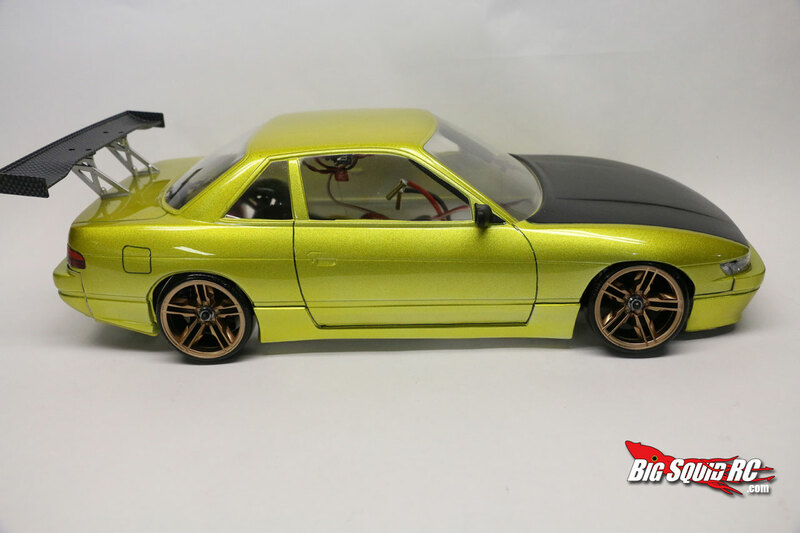 Right now my D4 is rolling so I went ahead and mounted this great looking Pandora S13 Silvia shell that I had prepared as soon as I heard about this car. I’m planning on being in for the long haul with this one so I’m sure it will change a lot anyway. I’ll be on the lookout for cool mods and be sure to post any that I think are worth your time. Thanks for hanging in there with me gang, I know it was a long one. Now get out there and drift! To learn more about the D4 you can check out 3Racings website here.